Stop the presses! The Vermont Legislature is going to declare 2015 Year of the Arts tomorrow morning — Thursday, May 1, at 9:30 a.m. — and the Vermont Arts Council will be given an unlimited budget! Imagine the funds that the agency will be able to shower on the state's artists — which, as near as we can tell, is about every third person. So totally awesome, and not a moment too soon, because, perhaps you've heard, artists are starving. Asked about any possible financial windfall that might result from the legislature's proclamation, the ever-good-natured Alex Aldrich, ED of the arts council, said simply, "Wouldn't that be nice?" Well, he also said he dreams about waking up one morning and finding the Golden Dome over the Vermont Arts Council. I don't know what he meant by that. Maybe he would melt it down for cash? Well, a guy can dream. Seriously, Aldrich acknowledged, "We live in a world that's too practical for that [meaning unlimited funding for the arts, alas]. But we're taking the proclamation as the start of an opportunity to build awareness and excitement that, for 50 years, public money has been going out to the state to support the arts." On June 30, 1965, the Vermont Legislature passed Act 170, which designated the Vermont Council on the Arts, Inc. as "the state agency to formulate and apply for grants-in-aid to the state under the National Arts and Culture Act of 1964 and any amendments thereto." The Council continues its distinction as the only state arts agency in the U.S. that is also a private, nonprofit, membership organization. Thus, 2015 is the 50th Anniversary of public funding for the arts in Vermont and of the Vermont Arts Council. 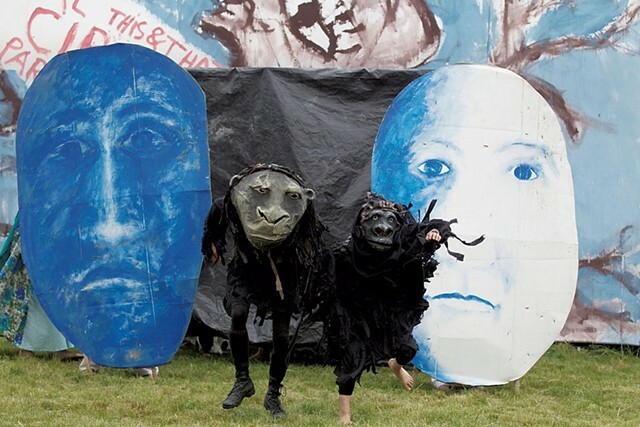 The council is "still in very early planning stages," noted Aldrich, but the basic idea behind Year of the Arts is to call special attention to the visual, written and performing arts presented by the council's "arts partners," from the Flynn Center for the Performing Arts in Burlington to the Bennington Museum. What remains to be determined is some graphic way to mark the events statewide, and to market those events collectively not only to Vermonters but to visitors. "Quite honestly, it's a marketing opportunity," Aldrich said. "It's not about the arts council; it's about what has happened over 50 years — we're trying to make Vermont an arts destination." Yo, skiing and foliage, give it up for Vermont artists, hey? 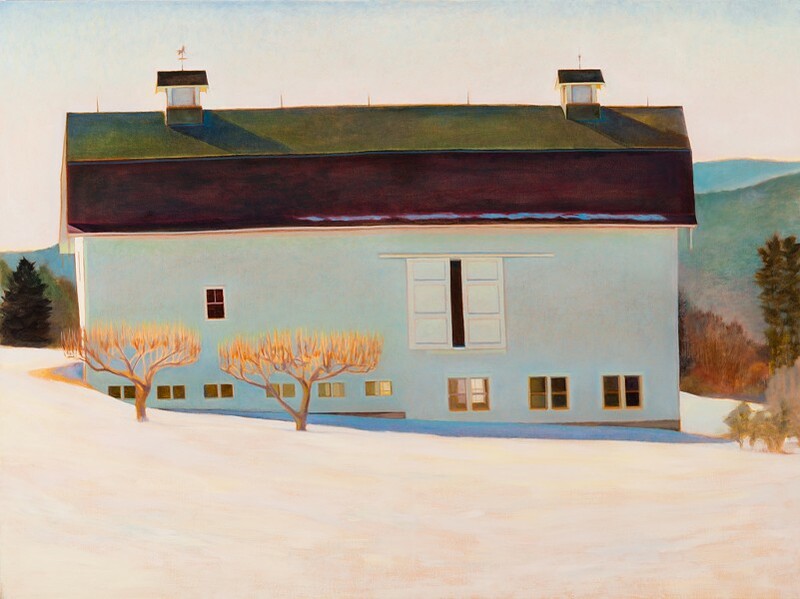 Kathryn Milillo's painting above is another lovely example of Vermont artiness. The Proctor artist's show opens with a reception at Edgewater Gallery on May 9.